"As professional football players, we understand the importance of being leaders in a community that proudly supports us. 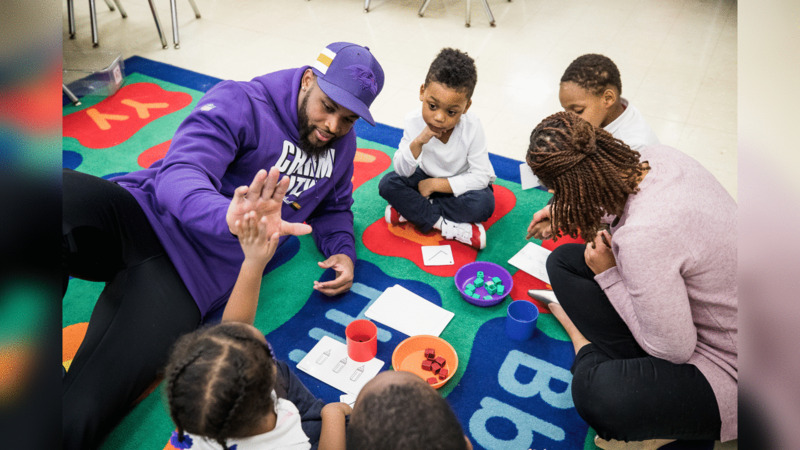 The Ravens’ Social Justice Program aims to take action in areas of need for the Baltimore community. At Lakewood Elementary, 40% of the student body has special needs, and 65% of the students qualify for a free lunch. There have been times where these children have had to go to school in the summer and winter months without reliable air conditioning or heating, and we see this as a great opportunity to provide them with the optimal learning environment that they deserve. This is the first of many projects in which we are excited to participate alongside our Organization and Mr. Steve Bisciotti."